Matte press paper gives off a silky dull look and feel, great for displaying your images. Marathon's Matte paper is a Forestry Stewardship Council (FSC) certified recycled mixed paper, produced using 10% recycled fiber, 10% post consumer waste. Marathon’s Matte paper can be UV Coated for no additional charge. Matte press paper has a caliper rating of 14. Linen press paper has substantial texture in the form of linear lines, similar to clothing. Linen paper adds a special touch to any press printed piece. Marathon's Linen paper is a Forestry Stewardship Council (FSC) certified recycled mixed paper, produced using 30% recycled fiber, 30% post consumer waste. Linen paper can be UV Coated for no additional charge. Linen press paper has a caliper rating of 14. Pearl press paper glows with tiny glimmers of pearl dust. Turn any press printed piece into a boutique card with this paper option. . Marathon's Pearl paper is a Forestry Stewardship Council (FSC) certified mixed recycled paper, produced using 30% recycled fiber, 30% post consumer waste. Marathon’s Pearl paper can be UV Coated for no additional charge. Pearl press paper has a caliper rating of 14. 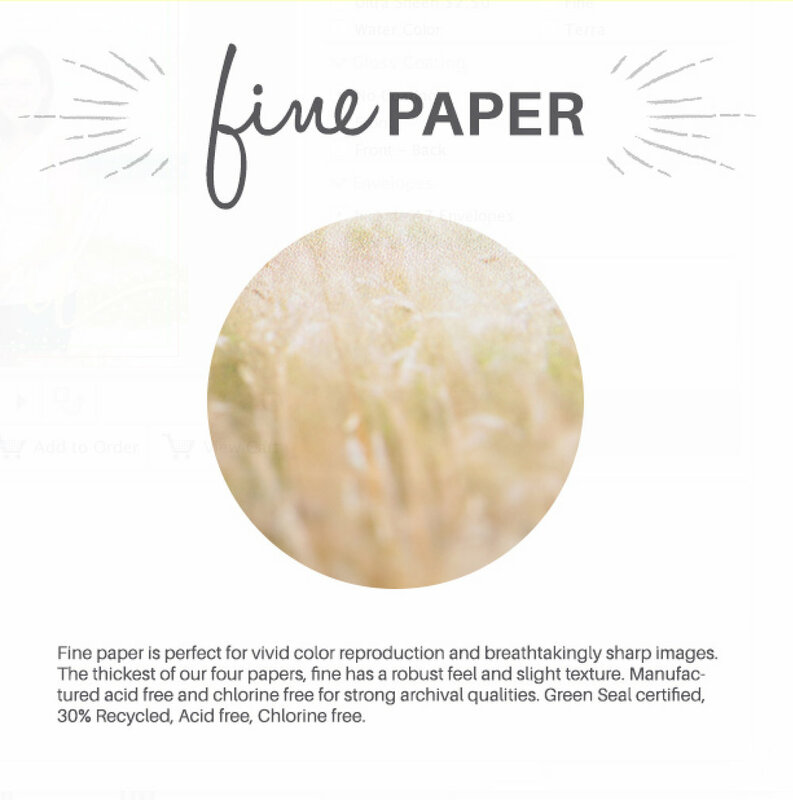 Fine press paper is the thickest of our seven papers and makes for a classic first impression. With a robust feel and slight texture, it gives any printed piece a beautiful look. Marathon's Fine paper is a Forestry Stewardship Council (FSC) certified mixed recycled paper, produced using 30% recycled fiber 30% post consumer waste. Fine press paper has a caliper rating of 18. Watercolor: Watercolor press paper has the look and feel of the paper a watercolor artist would use as their canvas. Marathon's Watercolor paper can now be your canvas for those special press printed pieces.